Charles Watson presents two ways in which to measure efficiency and boost contact centre scheduling. Call centre scheduling can be one of the most complex jobs in workforce management (WFM). Some organisations conduct annual or quarterly mandatory shift bids that are manual and intensive for the planner. 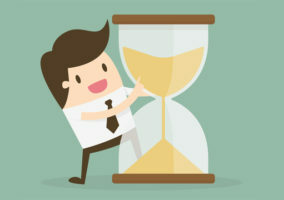 Other organisations see the function as more administrative – making scheduling adjustments, adding exceptions or segments to schedules, and processing requests. Often, the job is a combination of the two, making it very difficult to get a good measure for success. 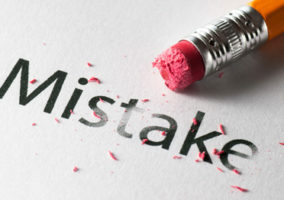 The performance of the planner becomes subjective, and the errors or complaints from agents tend to get more attention than the quiet successful work completed. How do you determine that the schedules created for a shift bid are good schedules? One approach is to just plug everything into your WFM software and let it provide you with the number of schedules requested to try to meet the service levels consistently. Generally, WFM tools do a good job here. As the old saying goes, “garbage in, garbage out”. How flexible are you in letting the system determine exactly what types of schedules to create? Do you force consecutive days off? Does it create split shifts? Do you allow it to put breaks anywhere, or is it limited? What percent of part-time or 10-hour shifts do you let it create? Can it determine whether you should use non-traditional schedules, such as a slant schedule (10, 9, 8, 7, 6 hours each day for a 5-day work week)? You may have too many limitations on your system and not know it, because the output is considered “what the system said”. This is where great planners can add value and avoid common scheduling mistakes. Likely, your contact centre has built-in business rules about what you can and can’t do when it comes to scheduling. These rules become your baseline scheduling efficiency. If you put in only these restrictions and let it build schedules, you’ll see your baseline scheduling efficiency. This is your starting point. As the planner gets really good at aligning staff within these constraints, scheduling efficiency goes up. This directly represents the value they bring to the company. How do you measure schedule efficiency? There are a few ways, but I recommend looking at the percent of staff within 10% of your requirements. 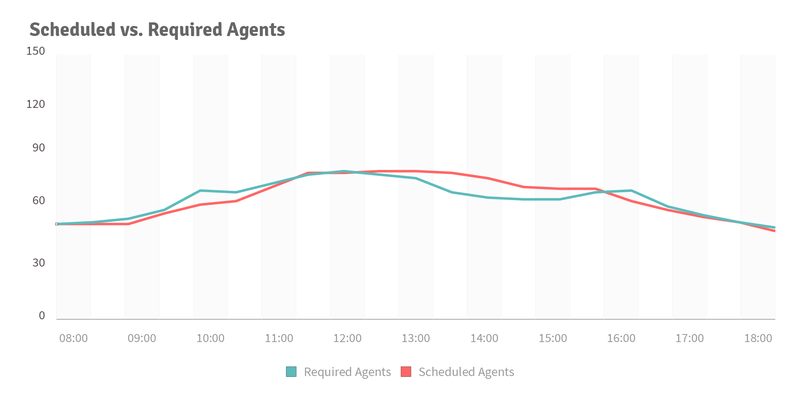 If you require 10 agents and you schedule 11, that’s within the threshold. 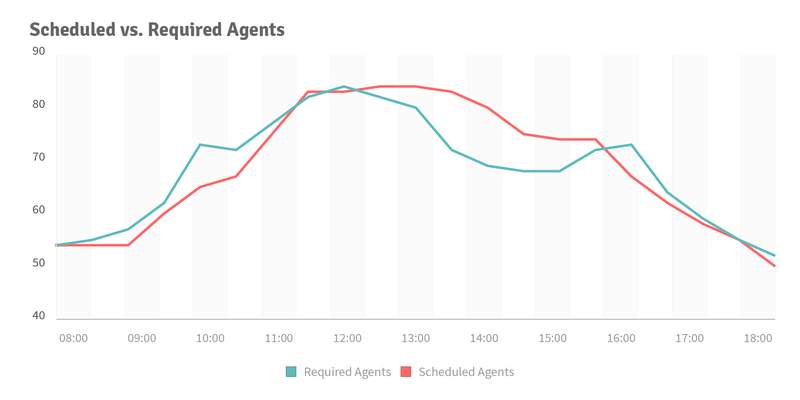 If you require 10 agents and schedule 12, then it’s not within threshold. Measure your baseline with just the business rules and establish that as the number to beat. There is no set number that’s good here, it’s just about getting better than you are today. As you measure and manage this, it will become more clear what your target should be. These graphs are the same…exactly the same, except for the scale. Graphs can be misleading, because the scale setting determines how you perceive it. A numeric approach is critical to avoid this problem. In this example, 18 of the 21 intervals, or 86%, were within the threshold. OK, so any scheduler reading this is probably cringing at the thought of customer feedback being part of their measurement. But it’s an important measure. There will always be a perception about the effectiveness of a scheduler. It’s far better to get out in front and survey team leaders, managers, employees, etc. and get their feedback. Not only does this give you good information, but you can leverage this to frame the conversation and frame the feedback. Do not ask if people like their schedules. Also, don’t ask if they like the planner! You generally want to avoid questions that are subjective or that hold the someone accountable for things outside of their control. You have to put your employees where your customers are, and that often means people will work schedules they don’t want to work. That doesn’t mean your resource planner is doing a bad job. However, there are ways to improve employee engagement with creative scheduling strategies. Ask questions about the process. Are schedules released as communicated? Do the employees understand the process? Are scheduling changes processed per the timeline? These are the types of questions that focus on an expectation being set, and the fulfilment of that expectation. In short, are you keeping your promise? I recommend you conduct surveys 2-4 times a year. Give yourself enough time to get the results and take action before you survey again. By engaging with these types of questions, you’re framing the conversation that schedulers need to be accountable for effectively executing the process, and it’s not about the subjectivity of people liking their schedules. As with the scheduling efficiency, the best approach for this is to measure the current state and establish that as your baseline. Your objective is to continue to improve this number over time. The last consideration is to determine a weighting for each of these. That weighting should depend on where you want your planner to focus their time. 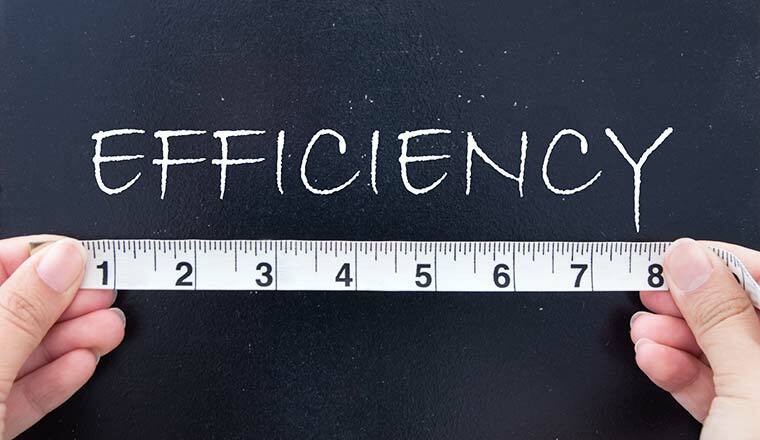 If you need to become more cost-effective, have a higher weighting on the efficiency metric. If the objective is to improve relationships with the operations staff and focus on employee satisfaction, put more weighting on the internal customer feedback. Over time, it’s best to try to get these to a 50/50 split, because the function needs to meet both of these objectives consistently. To find out more about injixo, visit their website.